What Does Romans 13:14 Mean? In the Christian life we are commanded to be honest; to be respectful to others; to conduct ourselves with integrity and to love our neighbour as we love ourselves, for love is the fulfilment of God's perfect Law. And although we are in the world and need to abide by the regulations of the established authorities and appointed governments, (which, we are reminded were instituted by God Himself), we are also to remember that our citizenship is in heaven, and it is from there that we eagerly wait for our coming Saviour, the Lord Jesus Christ. The Christian Church has been waiting for the return of the Lord Jesus for two thousand years and as we draw ever closer to that promised return.. we are increasingly reminded that the day of His coming is very near, even at the very door.. and we are warned to prepare our hearts; to put aside all sinful actions and worldly deeds.. and to clothe ourselves in the armour of light - to put on the Lord Christ. In the Christian life we are instructed walk in spirit and truth and to put aside anything that dishonours the name of the Lord. We are not to be fashioned and shaped into this world's mould, nor are we to allow ourselves to be influenced by any unbiblical world-view. 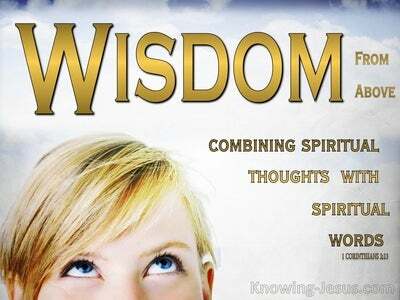 Rather we are to be transformed into the likeness of Christ by the renewing of our mind. 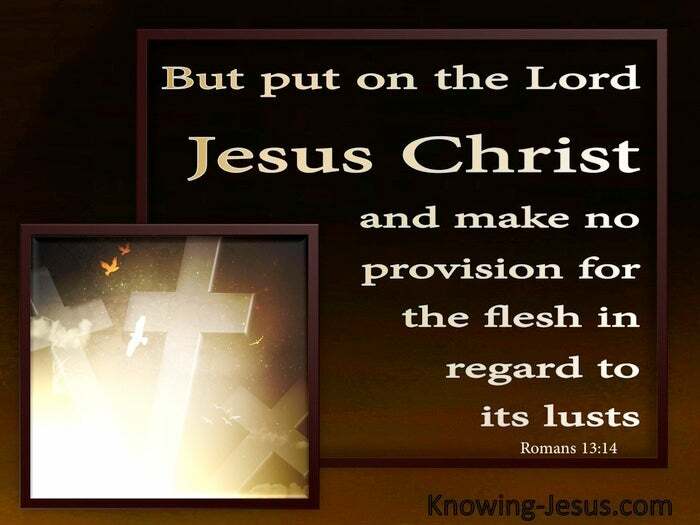 We are to: put on the Lord Jesus Christ, and we are to make no provision for the ungodly works of the flesh with regard to their lustful leanings and ungodly propensities. We are part of the spiritual body of Christ and as such we are in a spiritual battle and the only way to survive is to be clothed in the spiritual armour of God. 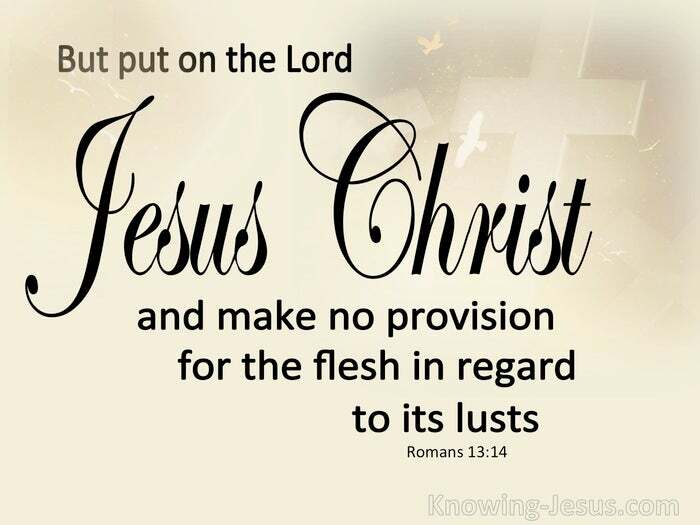 We are to put on Christ, and make no provision for the flesh, in regard to its lusts We are to be clothed in Him; covered in His righteousness - we are to abide in Him and He in us as we stand fast in this evil day. We are not to allow the lust of the flesh and the pride of life to influence our spiritual growth, but rather we are to live as Christ lived when He walked the dusty streets of Jerusalem.. and in all things we are to pray: Thy will, not mine be done. 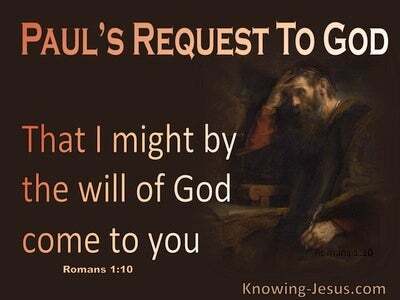 We are to follow His example.. doing only those things that we hear from our Father in heaven. We are to study to show ourselves approved unto God and we are to live our life in full submission to the leading and guidance of the Holy Spirit.. for He is the One Who has been sent to teach us all things and to guide us into all truth. We must be constantly aware that we are not capable of harnessing our fleshly lust and worldly propensities in our own strength, for this can only be done through the power of Christ's indwelling life. We are to recognise that the spiritual armoury with which we are to clothe ourselves in this evil day is simply to be covered in Christ. 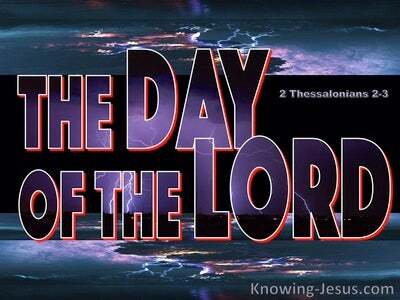 We are to be strong in the mighty power of Lord and not to rely on our own limited abilities. We are to remain in Christ and He in us as we engage in this spiritual battle that has been raging for millennia - for only as we are clothed in Him are we enabled to stand fast. We are to be covered in His truth; be covered in His righteousness; and rest in His peace and His salvation.. which is ours by grace alone through faith alone in His finished work - alone. It is only as we dress ourselves in Christ and cover ourselves spiritually in the Lord.. day by day and moment by moment, that we will we be enabled to make no provision for the evil cravings of our physical nature - for only as we are clothed in Christ can the power of sin and death be defeated in the life of a Christian.